theJasmineBRAND.com exclusively reports, Pharrell Williams is refusing to hand over his contract for The Voice to his ex-business partners in their nasty legal battle and the company is demanding the judge force the singer/producer to show them exactly how much he rakes in per season on the talent show. Pharrell was sued by the production company, Uncommon Content Partners, who produced the singers YouTube show “ARTST TLK“. The show featured celebrity interviews and ran for over 12 episodes in its first season and was set to begin production on a Season 2. However, the producers explained Pharrell kicked them to the curb when he signed on to become a judge on “The Voice”, despite them investing millions into the YouTube show. They filed suit demanding millions in damages for all the money they lost. Pharrell said the contract he signed had a provision that allowed him to back out of a Season 2 if no schedule could be agreed upon by both parties. He asked the judge to throw out the lawsuit and award his ex-business partner nothing. The producers fired back in court documents, stating that Pharrell was attempting to deceive the court about the terms of the agreement. The company said the agreement specifically states that singer/producer is obligated to complete a 2nd season of the YouTube show and the only provision is they have to agree upon a schedule — it doesn’t state if they can’t Pharrell is allowed to abandon the project. 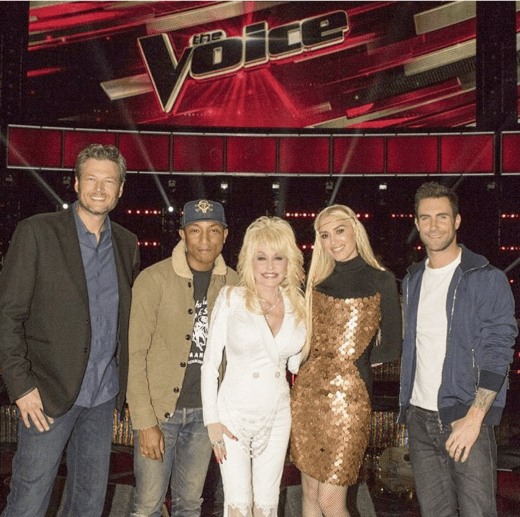 The company said that Pharrell clearly does NOT work 24 hours a day 7 days a week on The Voice and he could have worked out a schedule with them to fulfill his contract with them for a Season 2. Pharrell returned to court explaining that this lawsuit is a waste of time due for everyone involved due to the contract stating clearly he never had to do a season 2. He explained that the agreement he signed with the production company states that both parties will work together to come up with a shooting schedule that does NOT conflict with Pharrell’s prior professional commitments aka The Voice. Pharrell said he wasn’t going to wait around and pass up on the chance to be a judge on The Voice to see if a Season 2 of the YouTube show was going to happen. He also said he wasn’t required to do so and thus be didn’t breach any contract. 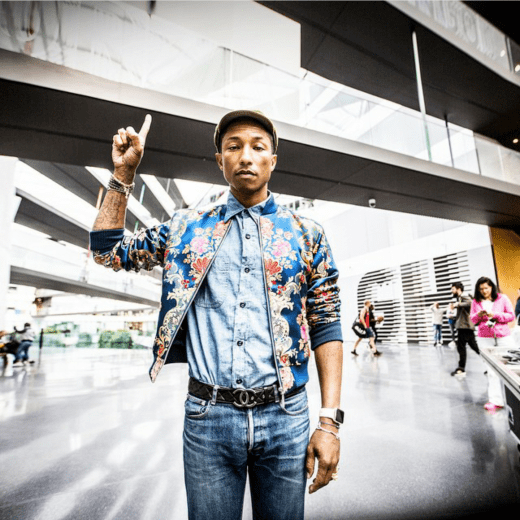 Recently, Pharrell’s former business partner returned back to court demanding the judge order an injunction to stop the singer’s talk show played on Apple Music’s Beats 1 Radio program that he launched this year entitled, ‘OTHERtone‘. He claimed that the show – where Pharrell is the host and interviews various celebrity guests – was a breach of the original deal by not getting other hosting gigs approved by them. They state Pharrell never informed them about his new Apple Radio show and didn’t offer them a right to produce the show per their contract. They demanded the court slap the singer with an injunction and not allow him to continue hosting the show until the legal battle was decided. Pharrell blasted his ex-partners and said the contract he signed was void and he could do whatever he pleased without their permission. Then on January 22nd, Uncommon Content Partners filed docs in the case demanding the court order Pharrell to hand over his contract he signed to a judge on The Voice. They accuse Pharrell of refusing to hand over the contract citing confidentiality provisions. The company says there are numerous reports about Pharrell’s salary for The Voice and state the singer makes anywhere from 8-12 million per season. U.C.P. points out that the salary has already been reported and the argument of confidentiality is nonsense. U.C.P. says that the contract will let them know exactly how much Pharrell is racking in per season and will help them show motive for not producing a second season with them. They are demanding the judge order the singer to hand over the contract ASAP.